Charles Bradley, the veteran soul singer praised for living out his dreams to pursue music no matter what it took, has passed away, following a long battle with cancer. He was 68. A representative for the singer, who impressively released his debut album in 2011 at the age of 62, confirmed the news on Instagram. The statement also asks for fans of the beloved musician to make donations to the All-Stars Projects and Music Unites in lieu of flowers. "Say it loud: I'm black and I'm proud!" 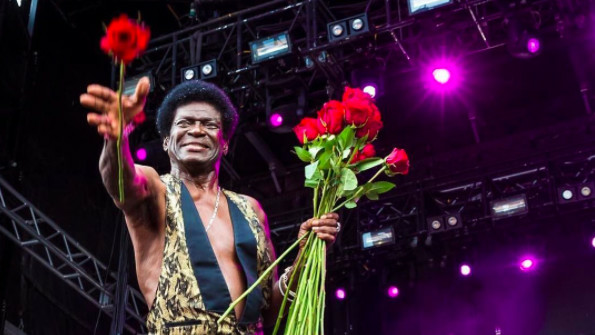 "It is with a heavy heart that we announce the passing of Charles Bradley," the post reads. "Mr. Bradley was truly grateful for all the love he's received from his fans and we hope his message of love is remembered and carried on. Thank you for your thoughts and prayers during this difficult time." According to reports, the singer was surrounded by family and friends, as well as with members of the bands he had worked with throughout his career, at the time of his passing. Earlier this month, Bradley's health forced him to cancel his upcoming tour dates following a second bout of cancer. A year after a stomach cancer diagnosis, doctors found that while it had not returned to his stomach, it had spread to his liver. OFFICIAL VIDEO: Charles Bradley "Changes"
The energetic performer, who was often compared to James Brown for his lively stage presence, grew up in poverty, spending decades working a slew of odd jobs (even including being a professional James Brown impersonator at one point) before being able to formally launch his music career in the early aughts, signing to Daptone Records. His story was told in the documentary, Charles Bradley: Soul of America, which was released in 2012. "If you want to give a show, make it real, and people will listen to you more carefully," he once shared with Pitchfork. "I'm singing the truth; I put my heart and soul into it. If you're gonna sing, sing from your heart and the world will hear you." Most renowned for his live shows, Bradley released his debut album, No Time for Dreaming, in 2011, and followed it up with 2013's Victim of Love and 2016's Changes. See the statement confirming the passing of Charles Bradley below. Our condolences go out to the singer's loved ones.